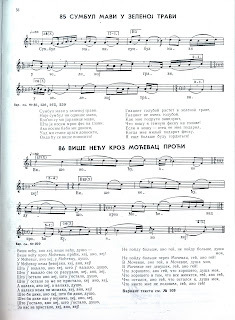 The term „sevdalinka“originates from „sevdah“, the arabian expression for love, desire for love, and ecstasy of passion. The Turks took this word from the Arabs, the Bosnian Muslims then added an „H“ to the Arabs expression „säwda“ - black bile: one of the four bodily humors believed to determinate a melancholic state. The heart of sevdalinka is the feeling of love. 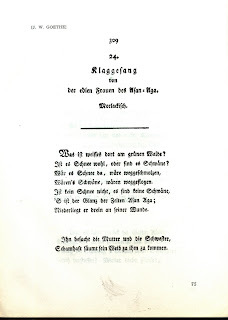 This central theme is explored in all its nuances: silent, tender, yearning, desirous, melancholy, and longing; happy, cheerful, humorous, bewitching, exciting, suffering and passionate; and above all the type of tragic and painful love that inspires the most noble emotions and moral behavior. The shyness and propriety of the girls, for example, is conveyed in sevdalinka, by their blushing. 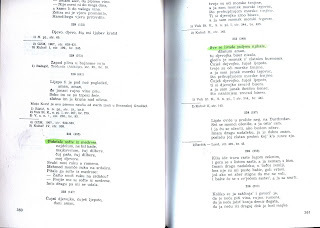 A number of essays have been written about the musical, philological, aesthetic and psychological phenomenon that is the traditional Bosnian song sevdalinka. In addition some books have been published in recent years but none has succeeded in covering this topic in ist entirety. 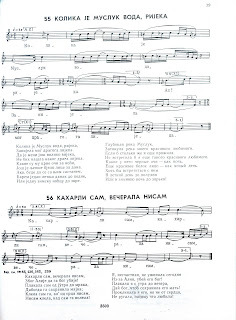 To provide a critical analysis of sevdalinka in academic terms we must take as a starting point the aesthetic and artistic composition of this traditional south Slavic song in the context of its philological and musical genre. For a general academic representation the simultaneous team research of psychologists, ethnologists and aesthetes is a prerequisite. 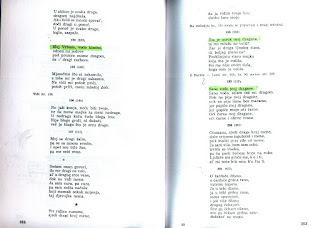 For centuries the south Slavic peoples have been influenced by this fringe musical philological genre of oral literature; furthermore it has inspired the works of numerous European Slavists and ethnologists from the renowned Czech Ludwig Kuba at the turn of the twentieth century to the contemporary German Slavist Wolfgang Eschker. (See „A chose from literature“at the end of this article). 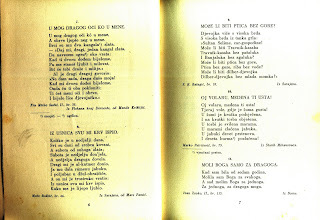 The influence of this music has of course played an important role in the Bosnian-Herzegovinian literary world notable in the inter war period in the works of Safvet-beg Bašagić, Osman Đikić, Aleksa Šantić, Hamza Humo, Ahmed Muradbegović, Dželaludin Kurt, Rasim Filipović, Alija Bejtić, Hamid Dizdar and later in those of contemporary Balkanian scholars and musicologists such Kuhač Franjo, Stevan Mokranjac,Vlado Milošević, Miodrag Vasiljević, Cvjetko and Dunja Rihtman, Kučukalić Zijo, Muhsin Rizvić, Munib Maglajlić, Rašid Durić, Muhamed Žero, to name a few. A great piece of art is difficult to define in scientific terms. 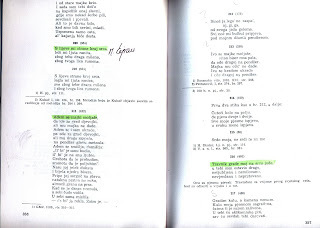 This is especially true of sevdalinka, which, in the oppinion of many Slavist, is one of the most stylish lyric creations in European oral folk poetry. 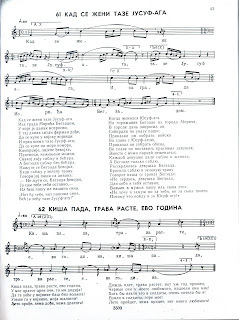 This is why the Bosnian-Herzegovinian Muslim people as creator and as shaper of sevdalinka are very proud of this song for they have not only enriched European culture but also contributed to the intellectual treasure of mankind. 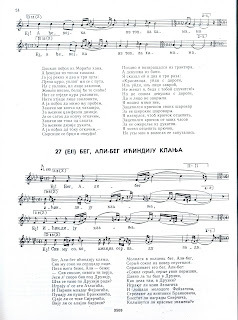 The term sevdalinka today brings to mind the association of a piece of music with melodic singing. This has been the reason for neglecting the philological, ethnological and moral aspects in all analyses to date. 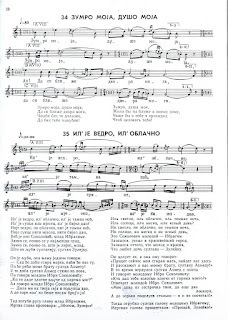 All previous research into sevdalinka has included at least partially, simultaneous aural and philological investigation, which has enabled at least appreciation if not full understanding of the magic of this fringe genre of folk art. 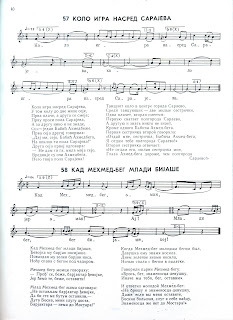 A century ago sevdalinka was not merely a folk tradition. All that time people lived within the song tradition as the song lived through them. Today it evokes images, half-remembered fragrances and the sensuality of past exotic world, of former Bosnian life based on aesthetic and moral values of an even older tradition. The return to this tradition does not indicate the idealization thereof but rather indicates a sophisticated and reasoned decision to return to values proven over centuries providing fulfillment and harmony in daily life. 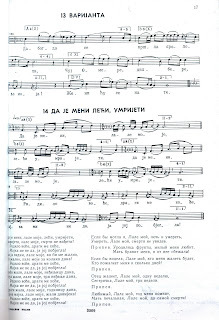 In the narrower sense sevdalinka is the tradition of folk poetry in music and literature with love as its focus. The love between the young lad and girl is the source of most sevdalinkas, but by no means exhaustively so. Its cultural ambience, local description, both subjectivity and objectivity elevate the sevdalinka far beyond the emotions of love and make it a celebration of urban, material and spiritual life of modern Bosnian-Herzegovinian people. 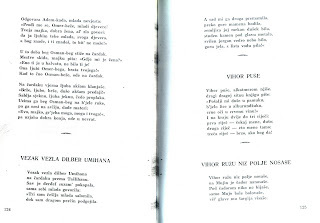 Sevdalinka reflects the urban life of Bosnian-Herzegovinian people about five hundred years: Bosnian living quarters, small streets, markets, fountains, gardens, courtyards, bazaars and many coffee houses. 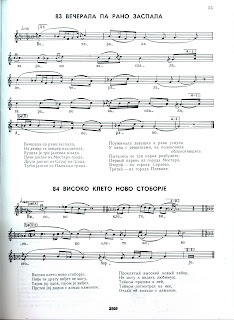 The richness in tonality and the melodious sound of sevdalinka was first systematically investigated by ethnologist and musicologist Ludwig Kuba, according to whom sevdalinka has three scales, more than is common to European folk music. 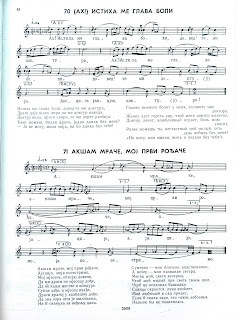 Other defining characteristics of this music are its employment of melismatic passages in singing, the use of predominantly minor scales, the ancient ornamentation of the melody and the rare practice of solemnization - the naming of the notes of a scale by sillable instead of letters e.g. doh-reh-mi. In conjunction with the very oriental instrumentation (e.g. „saz“, „diple“, „tamburica“) we experience a correspondingly oriental sound. 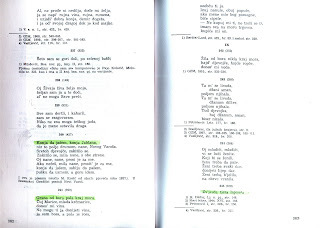 This should be viewed and considered in terms of the religious and musical tradition of Islam in the context of Bosnia: the „ezan“, the calling for „namaz“ - worship. 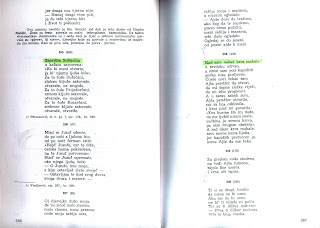 The religious songs of the Bosnian Muslems, the „ilahija“ nd the „kasida“, wich were maintained within the environment of religion and family, contributed to the musical shape of the sevdalinka. 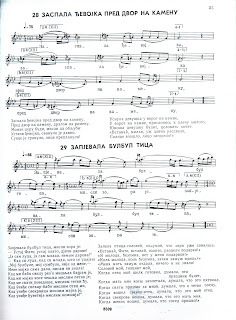 Although it is important to state that this is not an oriental, but Bosnian creation, despite the origins of the term “sevdalinka.“ Sevdalinka is often in 2/2, both of lively and moderate tempo, and often a syncopated 4/4 rhythm, giving an overwhelmingly yearning and melancholy emotional quality to music. 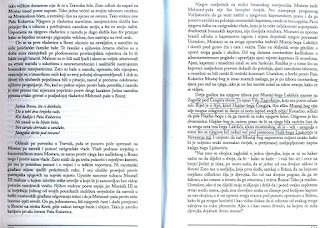 Notable displalying the aforementioned features are the well-known sevdalinkas „Moj dilbere, kud se šećeš,“ and „Kad ja pođoh na Bendbašu.“ Unable to resist, the listener is drawn into the magic of sevdalinka and into a world of his own imagination, he is transported far away from the concerns of ordinary life into contemplation of his dreams and desires. Sevdalinka portrays the whole life spiritual tradition and lifestyle of Bosnian people with clarity and vividness. The gardens with their fountains and the „agony of the flowers“ therein, the Bosnian houses with their „selamluci“, the awakening and gradual development of love, the „ašik-pendžer“, a type of window especially constructed for love talks - formed the environment in which sevdalinka was the instrument for the declaration of love over centuries. 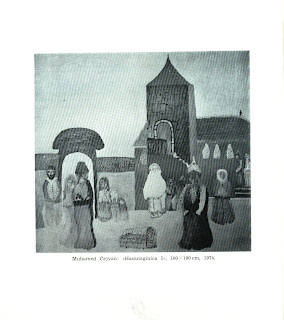 At the same time it portrays a vivid and artistic picture of the social life of Bosnian-Herzegovinian Muslims from the first half of the sixteenth century to the present today. 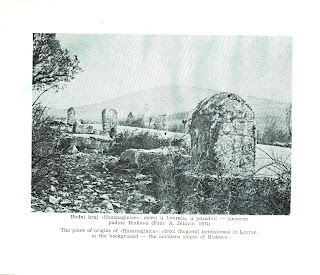 Furthermore sevdalinkas described the stone bridges, the white mosques with their slender minarets all over Bosnia; the urban treasures of the Bosnian-Herzegovinian towns that are Sarajevo, Banjaluka, Mostar, Trebinje, Travnik, Tuzla, the magical beaty of the girls of Travnik, Livno and Prijedor as wel as the magnificient rivers Vrbas, Bosna, Neretva, Buna, Mošćanica ... There is a hardly a sevdalinka in existence whose originis are not based upon incidents in real life. 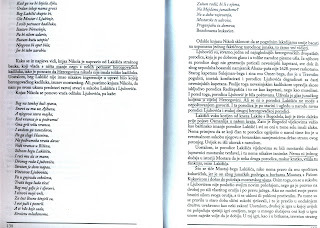 This is significant difference between sevdalinka and other types of European folk poetry. 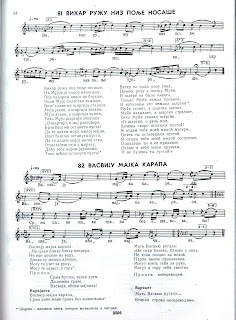 A sevdalinka does not sing of a woman, fairy, or noble lady in an abstract way as the Patricians and troubadours did. The singer of sevdalinka yearns for the embrace of the one who is the object of his desire and by whom his entire soul is consumed. 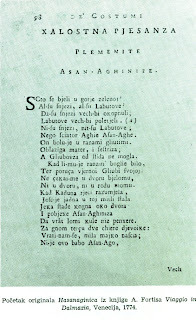 The gradual process of oriental Islamic civilization influencing the medieval Bosnian culture (in which sevdalinka was created) lasted from the second half of the fifteenth century up until the beginning of the twentieth century. At the beginning of the sixteenth century dozens of urban settlements were established throughout Bosnia with all the material aspects of urban civilization, from which source and inspiration the music and oral lyrics of sevdalinka were drawn: „mahale“ - urban districts with cobbled streets - „kaldrmli sokaci“, houses painted in white, town houses with attics „on four waters“, with „mušepci“ - mullions, and „kapidžici“ - balconies jutting out into the street, the houses with lots of windows, „hamami“ - baths, „caravanseraies,“ „tekije“ - monasteries on isolated ground, „ćuprije“ - bridges over river, and so on. 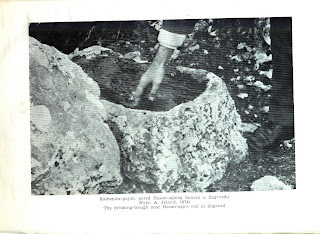 The material background of Islamic civilization in Bosnia and Herzegovina, from where sevdalinka took its motifs existed for over four hundred and fifty years of Turkish rule and continues to do so. 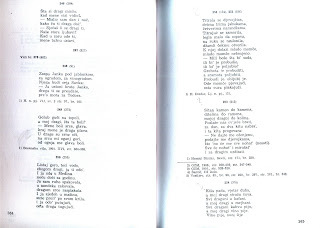 However the material and intellectual ambience and the tradition which shaped sevdalinka have been waning since Austro-Hungarian occupation Bosnia in 1878. As the manifestations of Islamic civilization faded, so too faded the material, social and moral structure of life which had previously ensured the preservation and continuation of sevdalinka. 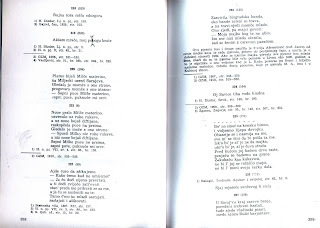 A superficial view alone of sevdalinka and philological and textual structure of sevdalinka is sufficient to recognize the influence of the rich Islamic culture, and the numerous loan words from three oriental languages namely Arabic, Turkish and Persian. 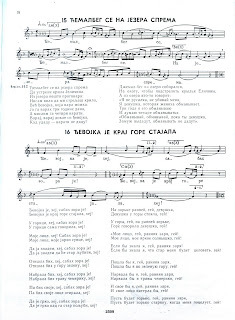 Sevdalinka is rich in Balkan orientalisms. Due do this it is only possible to immerse oneself entirely in this wonderful intellectual and spiritual world through a clear understanding of the deep mental and emotional demands placed on the listener. 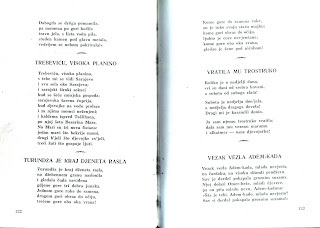 Sevdalinka portrays the all aspects of the intellectual tradition in the life of Bosnian people: the gardens with flowers, the white houses with balcony other with the court for the „ašikovanje“ - courting, the gradual conquest of love and of particular importance the ašik-pendžer - a window designed for love talk. 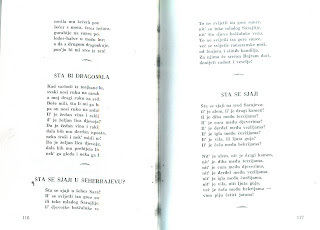 From these lyrics we can gain an accurate picture of Bosnian life at that time. Sevdalinka also described the distinct type of hunting with greyhounds and falcons practiced by Bosnian nobility in the arcadia of the Bosnian forests and mountains. (e.g. 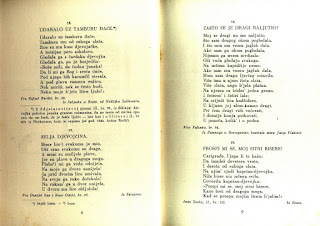 sevdalinka „Lov lovio Muhareme oko luga zelenoga, pusti hrte u ravnine, a sokole pod oblake“ and sevdalinka „Sabah uči, ja se u lov spremam“). Theis kind of hunting was practiced in feudal Europe and preserved by the Bosnian Muslims until the twentieth century. 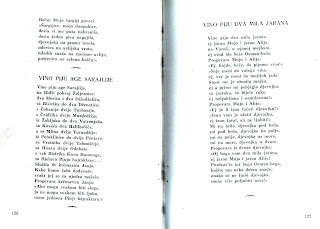 Due the lack of trustworthy documents, sevdalinka, for those who fully understand must be assumed to be an authentic description of real life and the traditions of social life in Bosnia at the time of the Turkish rule. In retracing the path of sevdalinka one discovers places and people are brought to life once more; people and places immortalized ba sevdalinka for their deep love and eternal qualities. Although sevdalinka originates from the deepest desires of the soul it also represents a radiant, creative and intellectual feat of mankind. 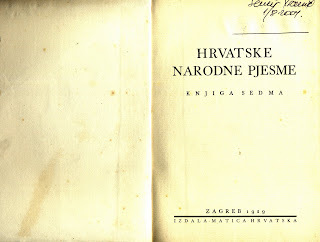 Sevdalinka came into being in the days when the oriental culture of Islam penetrated every aspect of life in Bosnia and Herzegovina, especially that of the Slavic population in Bosnia who had accepted Islam as a modus vivendi and as a modus procedendi. 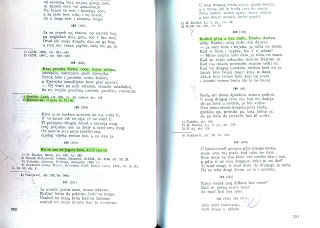 Bosnia-Herzegovinia’s sevdalinkas have not remained the treasure of the Muslim people exclusively; all Bosnians „are born“ with sevdalinka, grow up with it and are enraptured by it. Over the centuries it has gained intellectual value and respect not only in the Bosnian but in Balkan and in all South European countries. Because of the near universality of its emotion and appeal it „has travelled“from Bosnia into the treasure chambers of the world, where it has indeed attained a high level of respect for its artistic value. 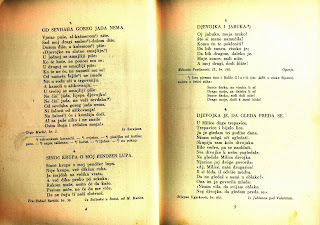 In the last one hundred and fifty years Bosnian oral poetry and sevdalinka have been translated by leading poets into many languages, in particular during the Romantic period. 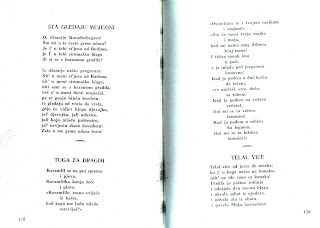 For the greater sevdalinka is a poem about the desire for love and about unfulfilled love. 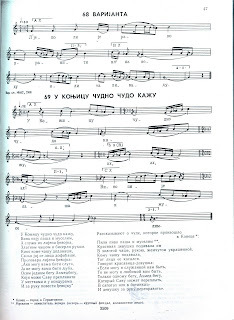 The levels of meaning contained in sevdalinka are considerable. Its creators, interpreters and singers immerse themselves in a happier, more sensual world. 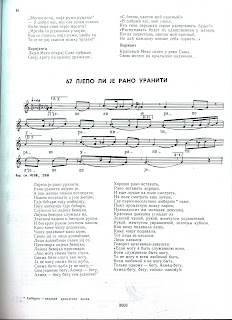 Sevdalinka is characterized by diapason, rich in literary, philosophical and one the whole aesthetic literary inspiration. Its depth of imagery and emotional content are important dimensions that distinguish it from other love poetry and related genres. 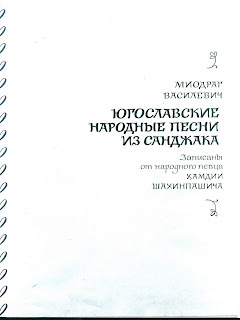 Therefore it is necessary to analyze sevdalinka not only in a musicological, ethnographical, ethnological, philological context but to focus on its creative originis. u tebi su cari i veziri! „Padišahu, kako ću ti doći? od ćošaka i od mušebaka! emporors and viziers live within you! „O, pasha, how shall I come to you? And the beauty of Fejzaginas Šida. 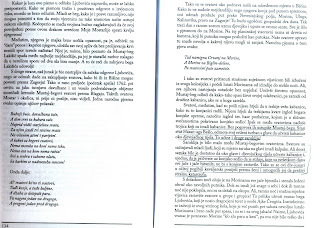 1) Gezeman (Gesemann) Gerhard: Prolegomena povodom gramofonskog snimanja bosanske narodne pesme. 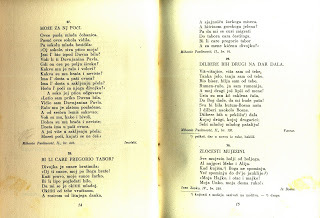 In: journal Prilozi proučavanju narodne poezije. Knj. IV, Sv. 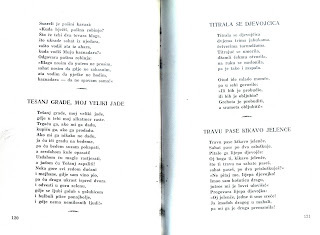 1-2, Beograd 1937, 222-240. 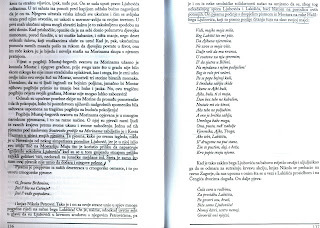 2) In: Orahovac Sait, Biserna ogrlica, Banjaluka 1990, 196-199. 3) Kulenović Skender, Iz smaragda Une. 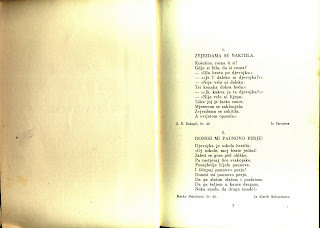 In: Izabrana djela S. Kuleenovića. 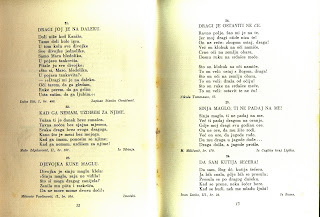 Knjiga VI. Eseji. Sarajevo 1983, 157-158. 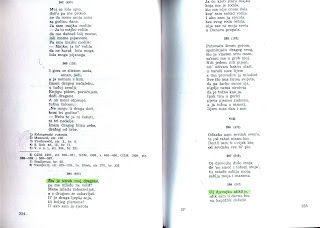 4) Maglajlić Munib, 101 sevdalinka. Mostar 1978, 157-158.